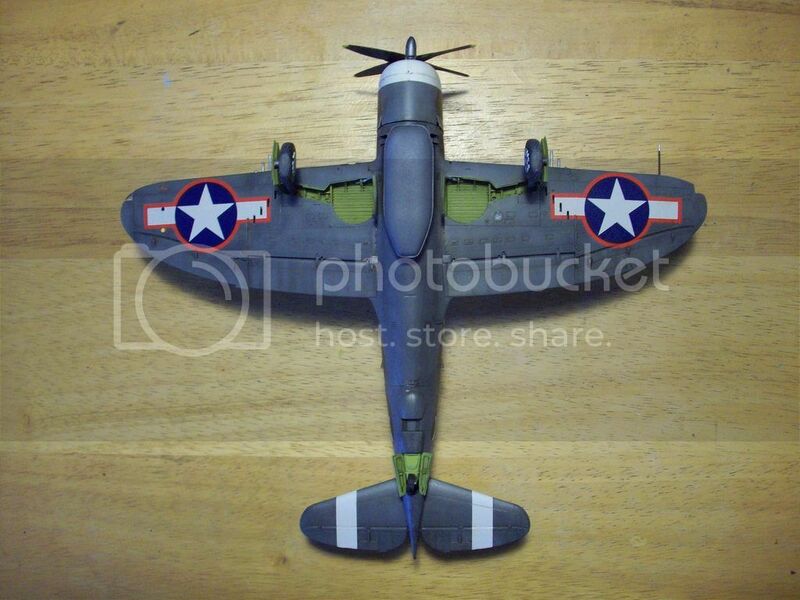 I've been a WWII student/ junkie/ fanatic since I was about 8, especially for the air war aspect. I always thought it was so cool when WWII pilots had their own ground crew and especially their own assigned aircraft. 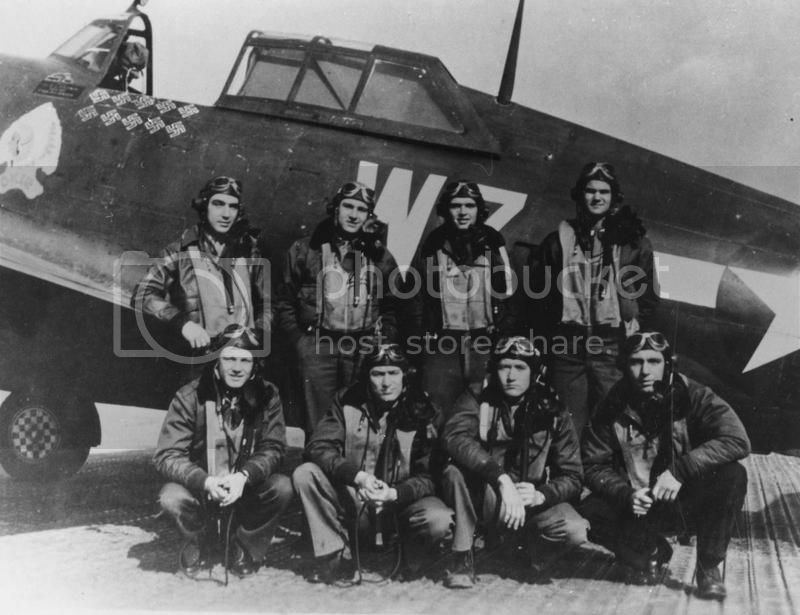 When I read the Squadron/Signal "Aces of the Eighth" book I was shocked and disappointed that bailed out pilots and airmen were sometimes murdered when they landed in enemy territory. Lt./Capt./Maj. 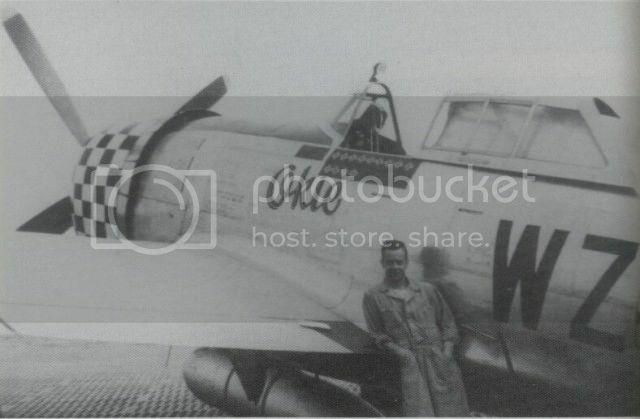 Quince L. Brown was one of these unfortunate men, and the picture of him in the cockpit of his assigned P-47 "Okie" has remained with me ever since. Also because he reminded me of an uncle I have. I have gone back to Maj. Brown's story many times over the years, one of the first times was to try out aftermarket decals of his plane on a Monogram Razorback. More than 40 years later I came back once again to his story. 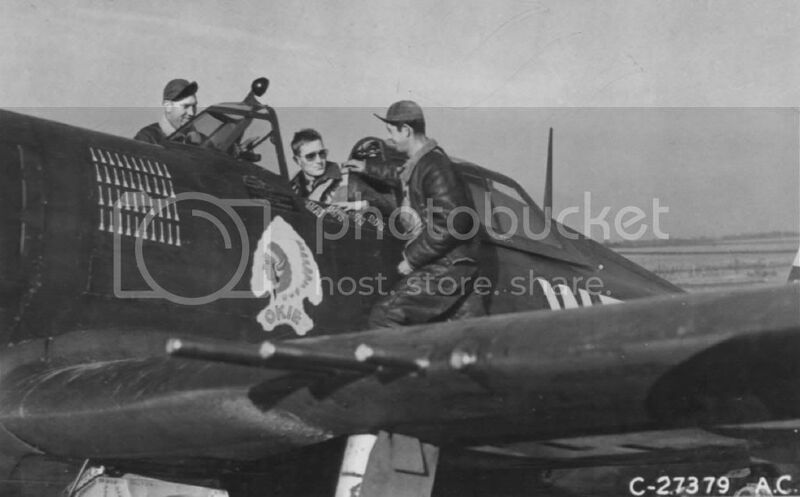 Now I have a good sized personal library of all things WWII, and the internet has uncovered and made available to me more pictures and accounts of Maj. Brown, his history, his plane, his squadron, his group, and his fellow pilots. BOTH referred to simply as "Okie." A bubbletop version. 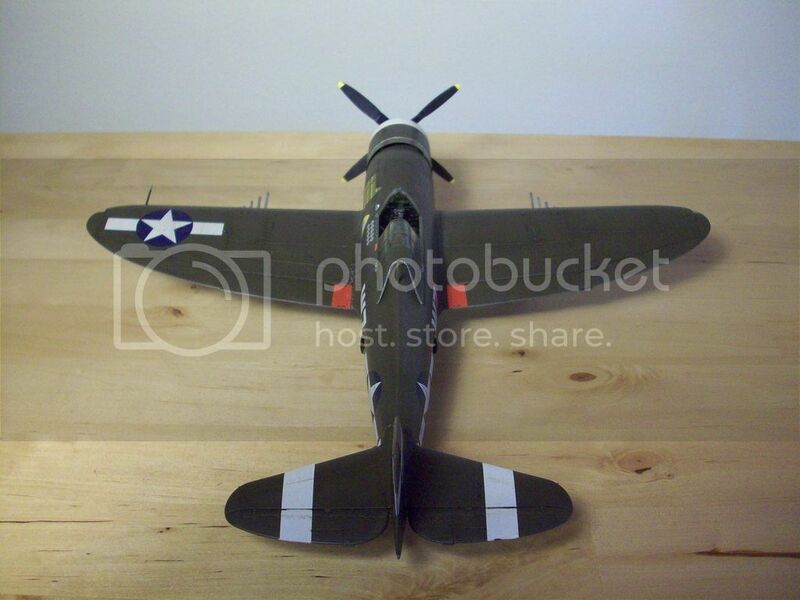 But what got me into thinking and P-47 model building mode was what was in the MACR. It said the now-shot down aircraft was nicknamed "Okie II." Not "III," nor just the next in succession of "Okies," but, strangely, "Okie II." 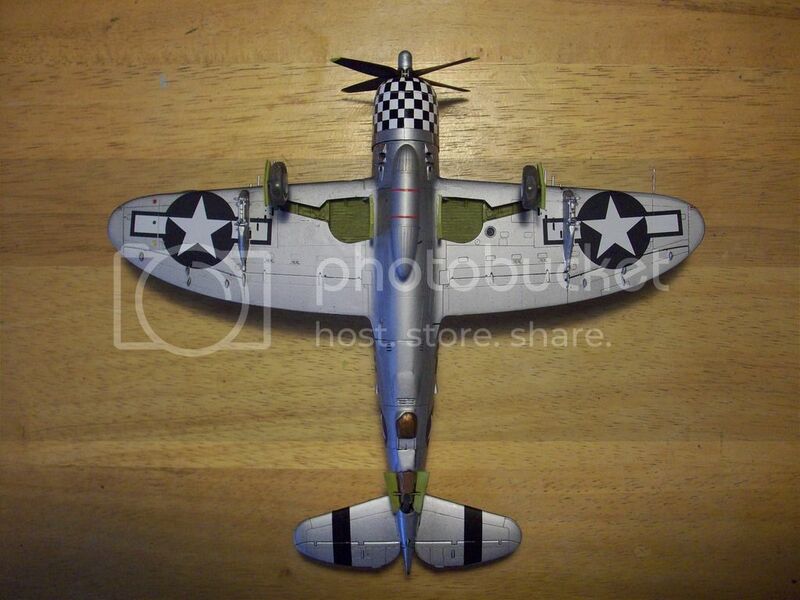 -- Could the three known P-47s Maj. Brown flew have been Okie I, II, and III? 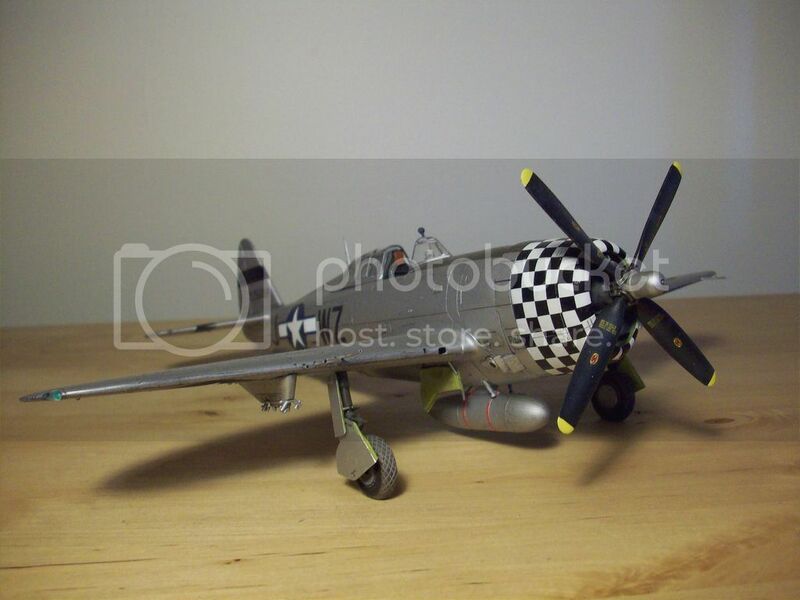 -- Wouldn't that now make the NMF P-47, referred to and marked as Okie, actually Okie II? 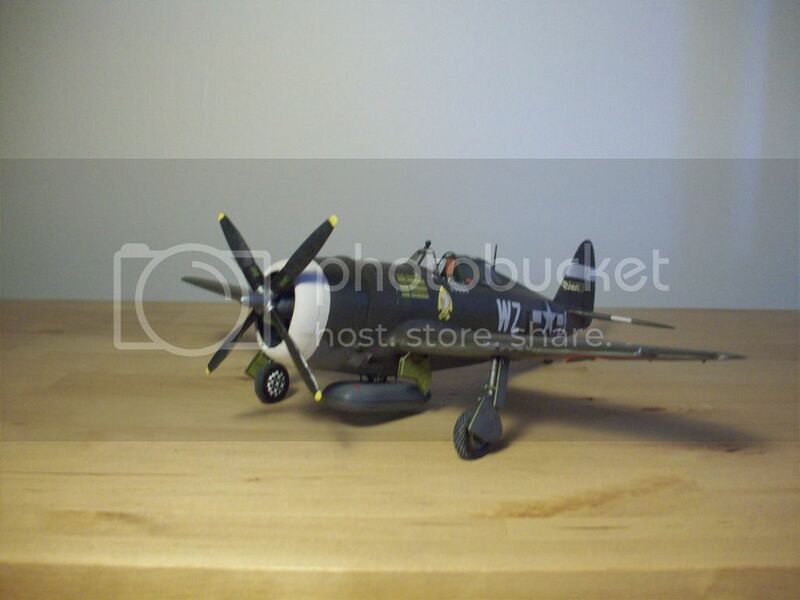 It is also common that WWII pilots flew what was available. 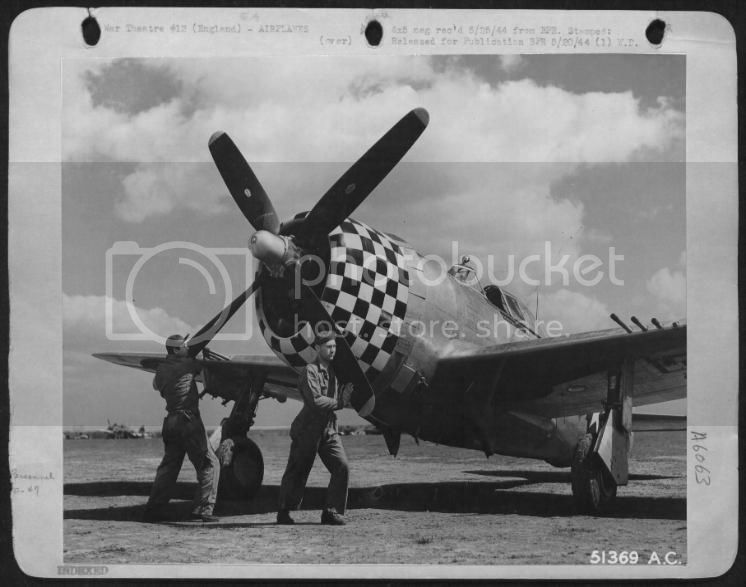 Maj Brown is known to have flown and used at least six other P-47s for some of his aerial victories. 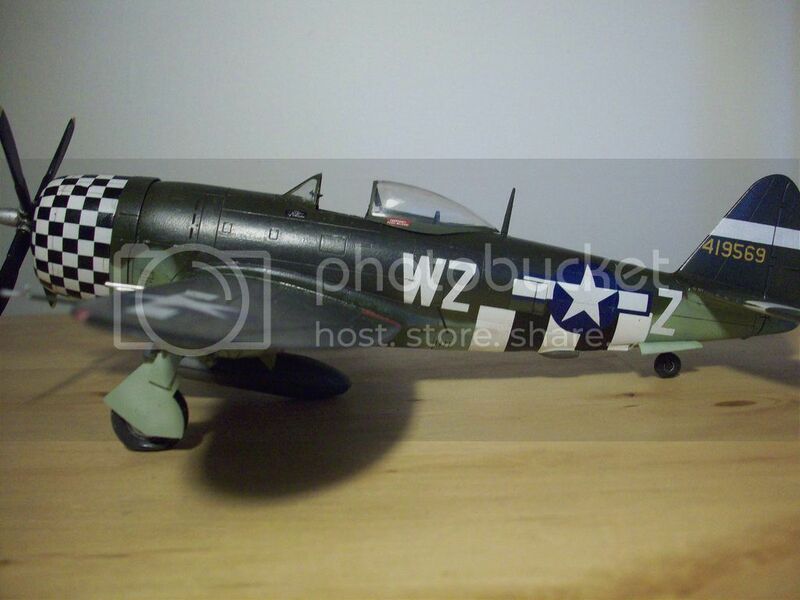 But I, stubbornly, wanted to find DEFINITIVELY if there were two or three positively assigned P-47s to Maj Brown. Latest markings information, including borderless fuselage and port wing upper insignia bars. Retention of red surround to lower stars and bars. 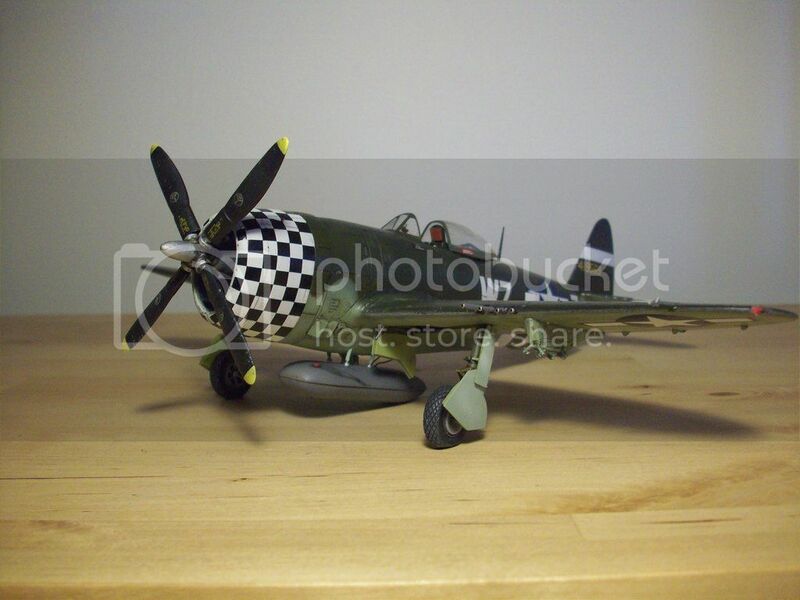 Aircraft is depicted in very narrow date margin, late March 1944 after then Lt. Brown's latest victories but before the 78th FG began black and white checkerboard cowling. 150 gallon centerline drop tank IS appropriate. 1/48 Tamiya kit went together AMAZINGLY well. Hasegawa 1/48. Markings from various kit and aftermarket decals sheets. The "Okie" logo under the port cockpit started as being non-existent, then to all black lettering, and finally having red backing or relief to the black lettering. I found the logo was actually a common font, "Sweetheart" or "Sweetheart Script." I searched for weeks for rub-on transfers in this font with no luck. Short of having some custom made decals, (I didn't trust my still rather steady painting hand), I opted for the earliest version of no logo. I wanted to use Alclad II Polished Aluminum. But I also wanted full markings and stenciling. I heard that Micro Set and Micro Sol for decaling would affect the Alclad finish. And the small stencil decals would have carrier film showing if I didn't use the Micros. I settled for Testors Aluminum Plate color, unpolished, so the NMF is pretty drab. A bit more story to this build. --Was it INDEED assigned like the other two? --Was he really the new CO? 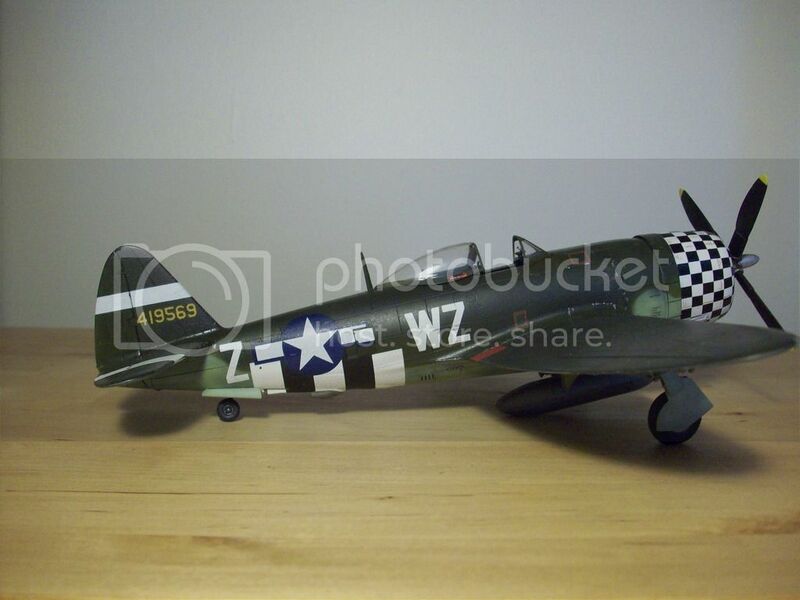 --Previously, two other squadron COs flew assigned aircraft... AND THEY WERE MARKED WZ*Z, JUST LIKE THE NEW P-47D-28 Maj. Brown flies. --Is this just a coincidence, or could it have been an unwritten squadron habit to give the CO a WZ*Z coded plane? 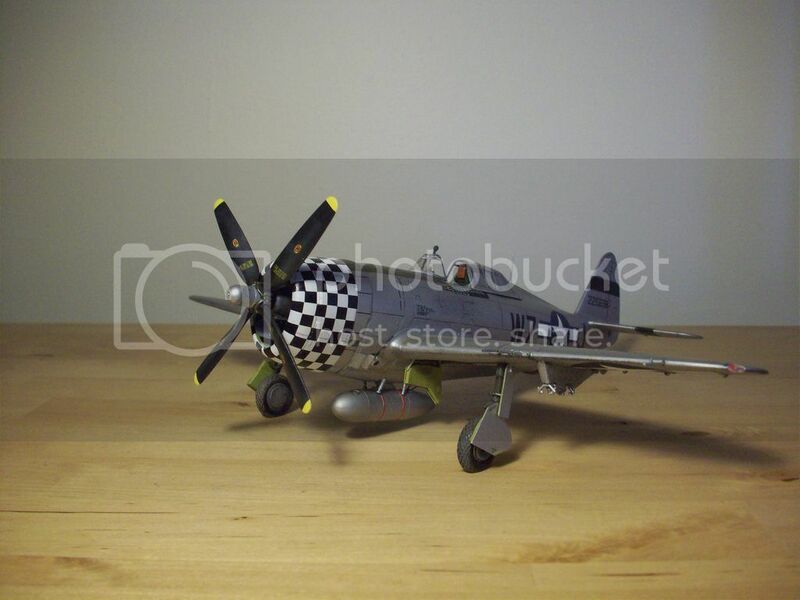 Hasegawa 1/48 P-47D Bubbletop. 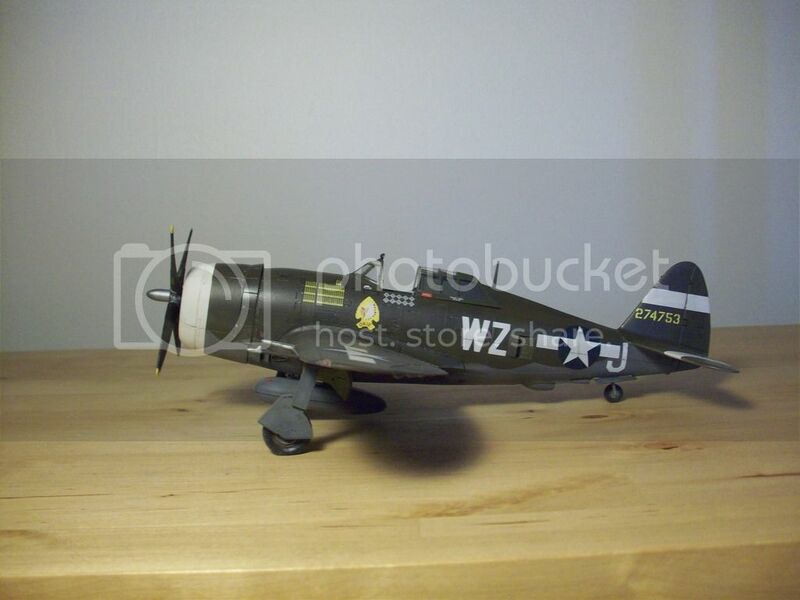 The A/C serial number hasn't been photographed but a P-47 with a serial number only a few digits off was used for reference. 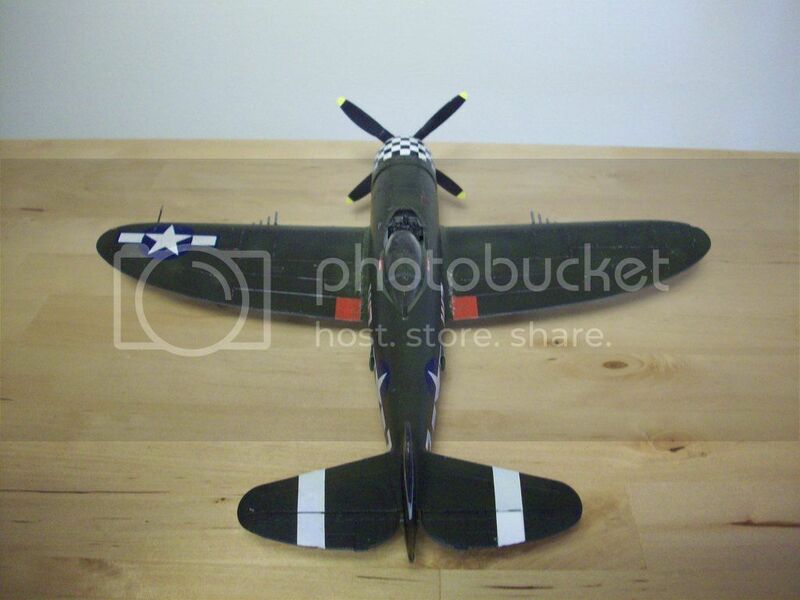 I should have used full lower D-Day stripes, as they were still used on P-47 as friendly identification. 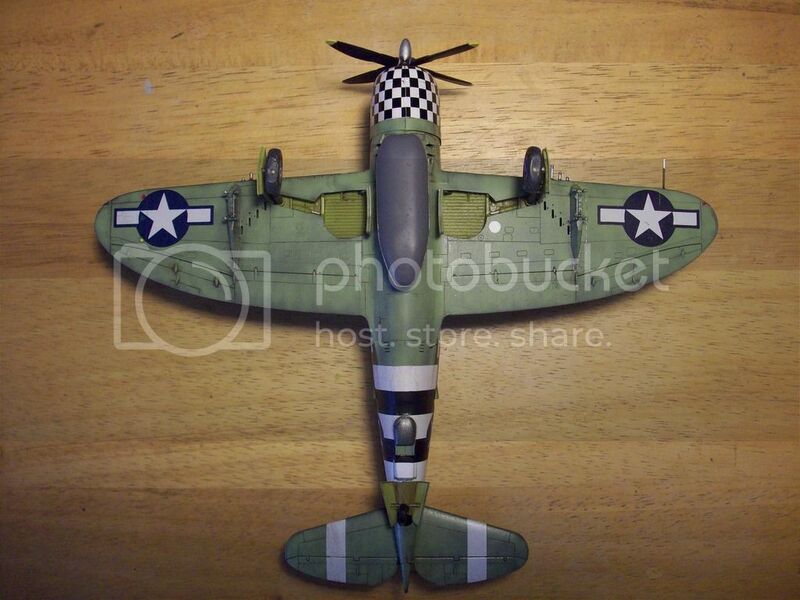 I tried using AeroMaster D-Day stripes but they were made for Tamiya kits. I thought I could nip and tuck here and there and get them to fit my Hasegawa kit. But... no. I struggled for three days with them before finally removing all lower wing striping. 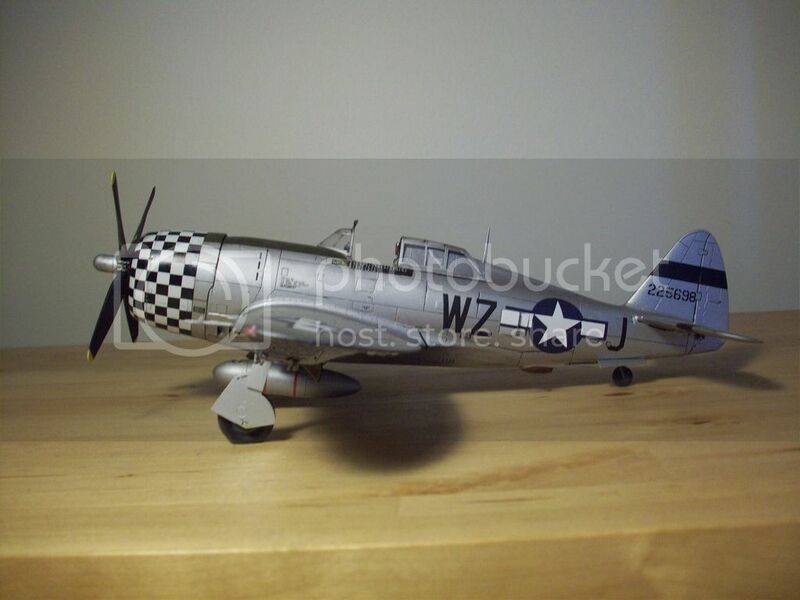 Fuselage striping was a must have. so I made sure these worked one way or another. Again, nothing I have come up with will change history at all. 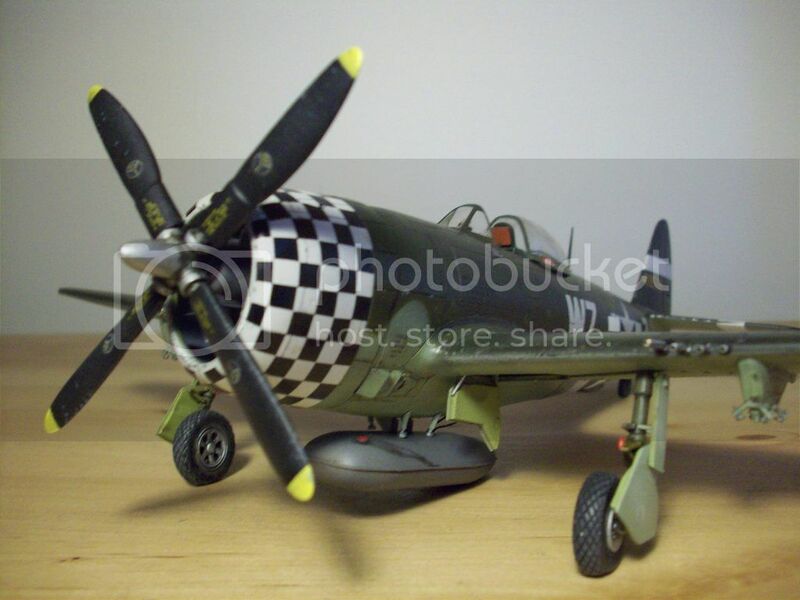 I still have three P-47s I know Lt/Capt/Maj Quince L. Brown flew as a member of the 84th FS, 78th FG. And that was my ultimate goal. Unless I decide to do the other six he's been linked to. That is a really nice little project Ken, it must feel great to have the three builds together on display now. Great work, and thanks for sharing so much of the back story with us. I will dig into my references and see if I have anything that might add to your database. I was waiting for a little more feedback and/ or critiques from here and from ARC. This topic seems to have fallen a little flat. 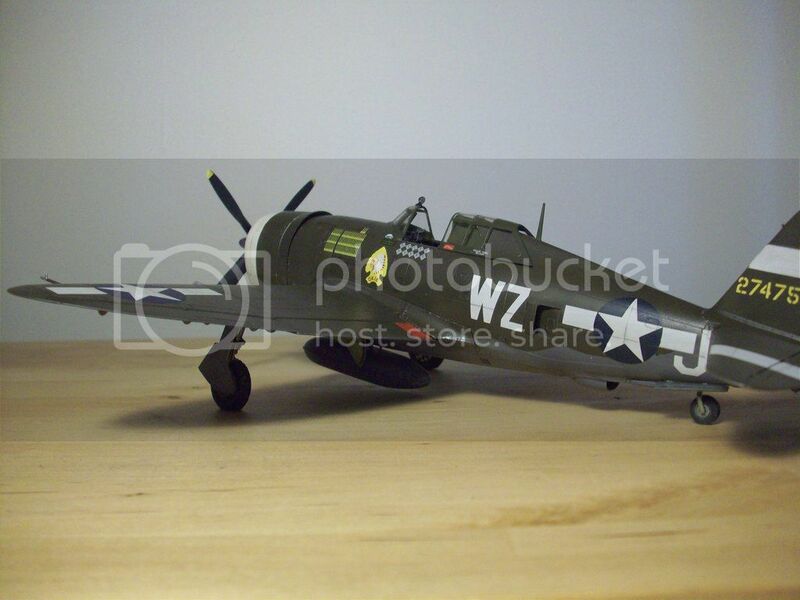 Oh well, I still have about 150 more fighters to work on, including 8 more P-47s.